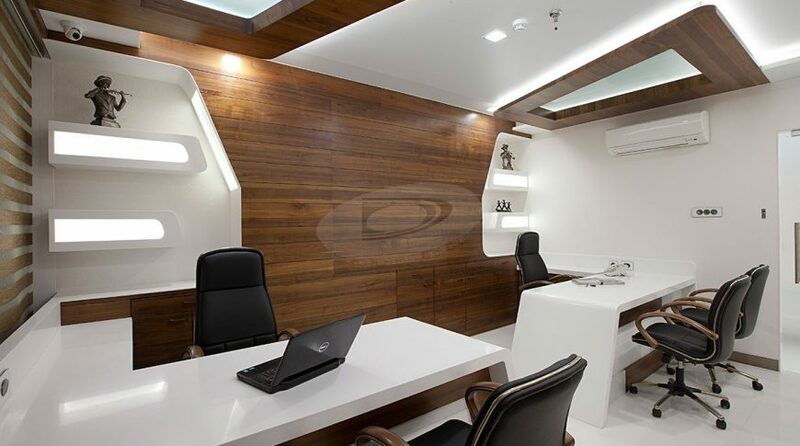 Doing such crafting shapes was easy on paper for this office, but while making it becomes little tough. 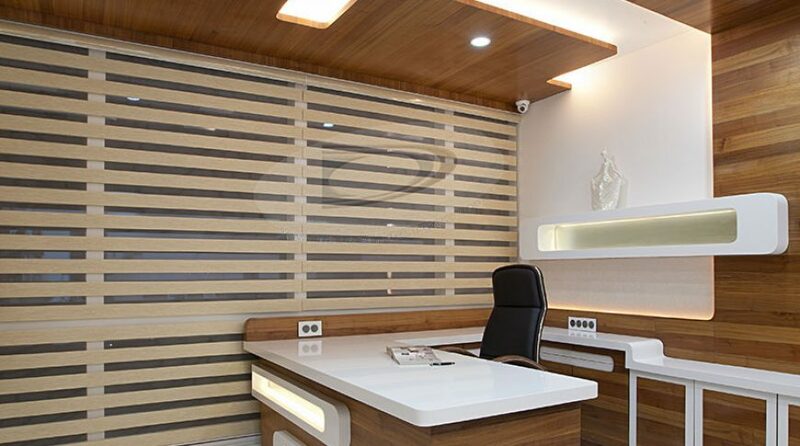 But as we are practicing in the field since last 10 years for all carpentry & wood work details we never faced anything which is not can be done on site. 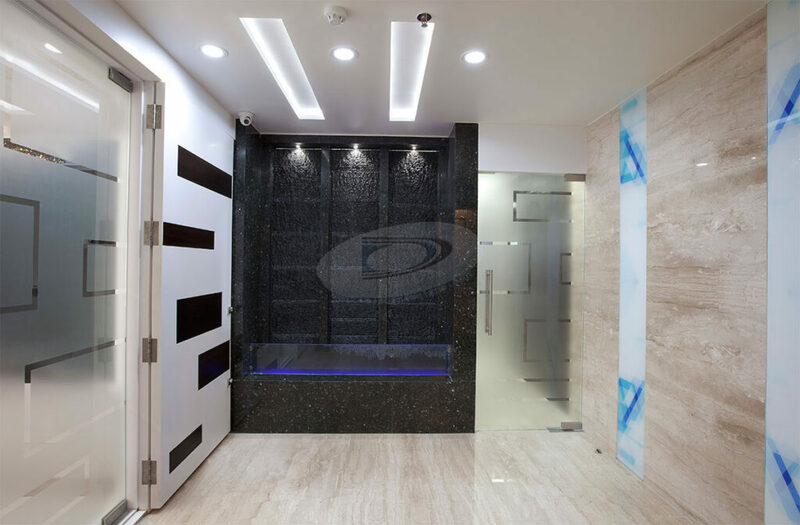 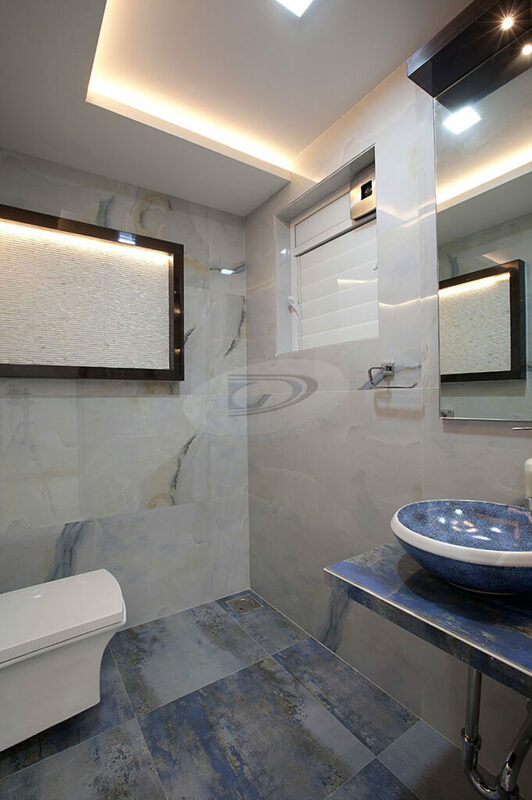 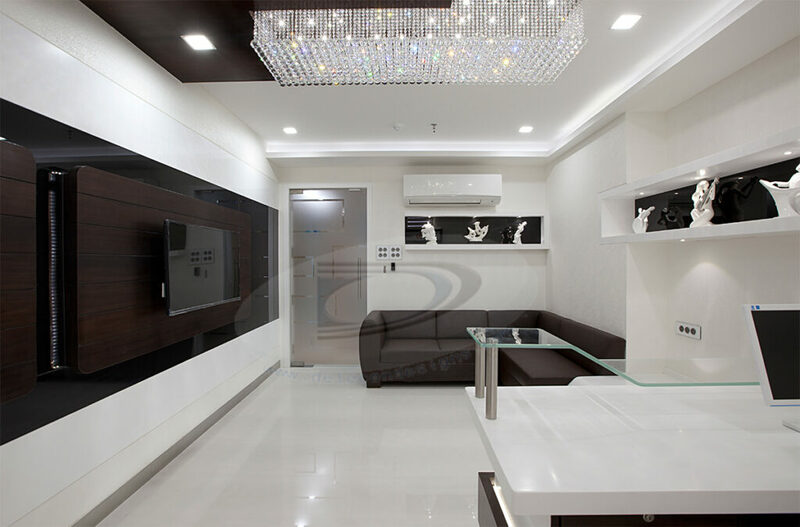 A proper trained professionals & contractors have hired to complete this all designs. 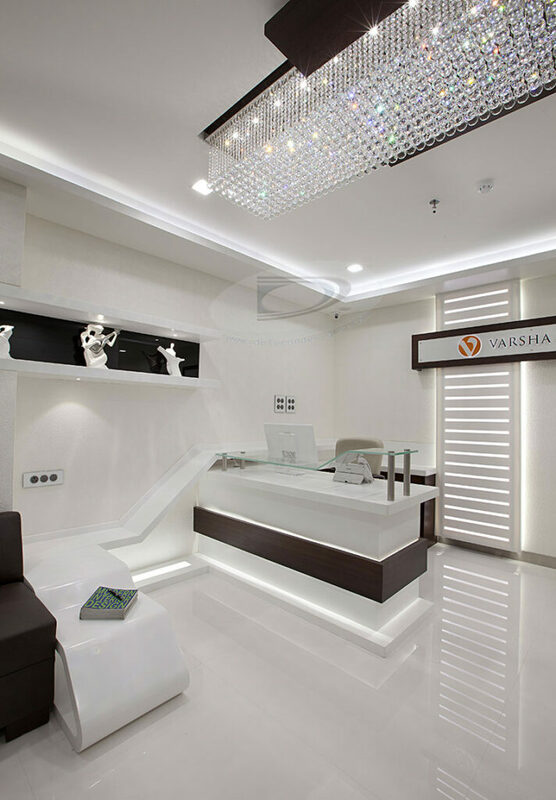 Once we came on final results on actual model only hard work efforts seen on each corner. 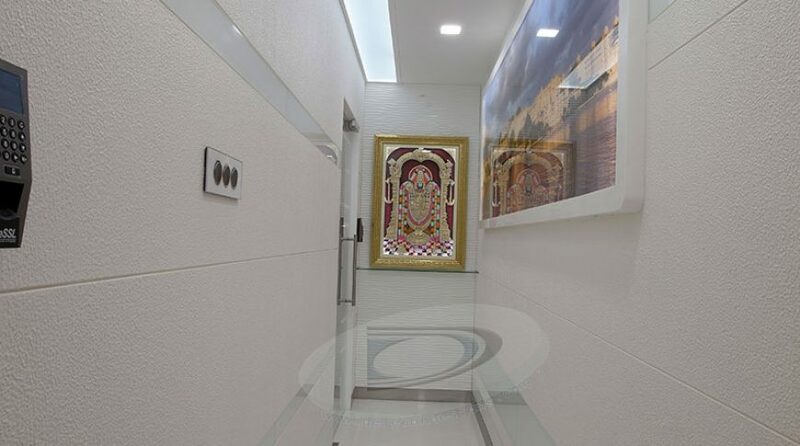 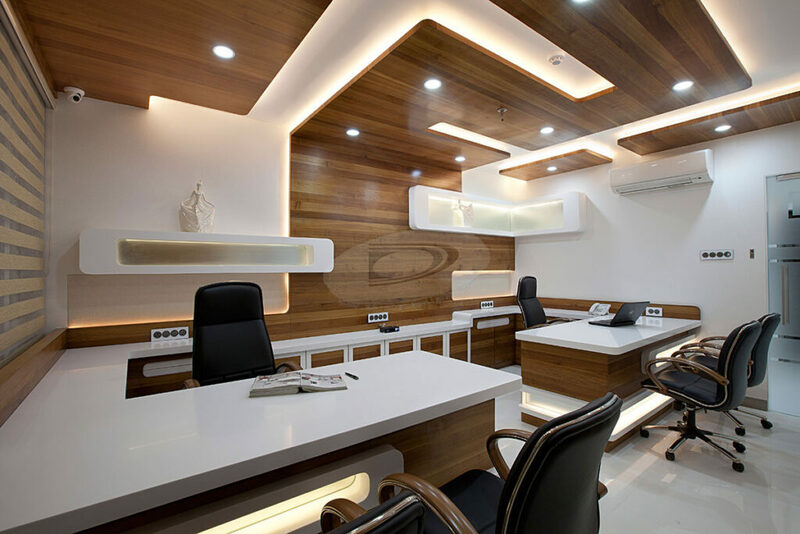 We have Complete this fabulous straight line commercial design office in Business hub of Navi Mumbai well known as C.B.D. 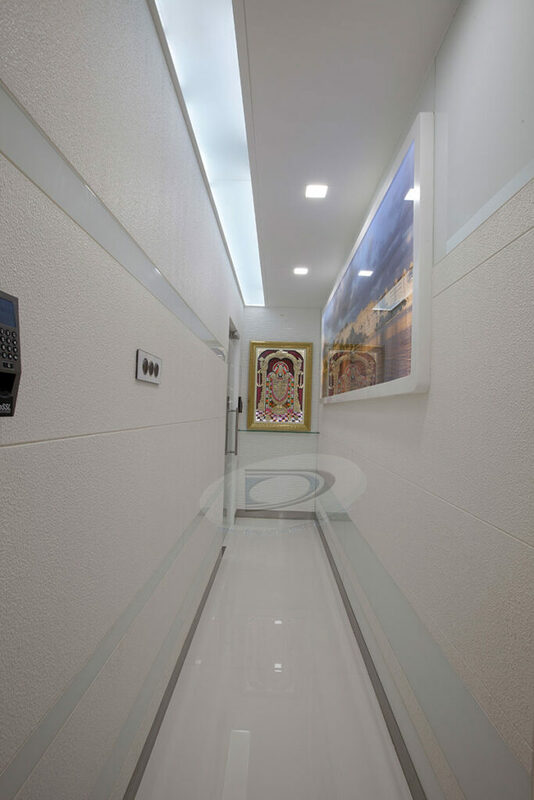 Belapur. 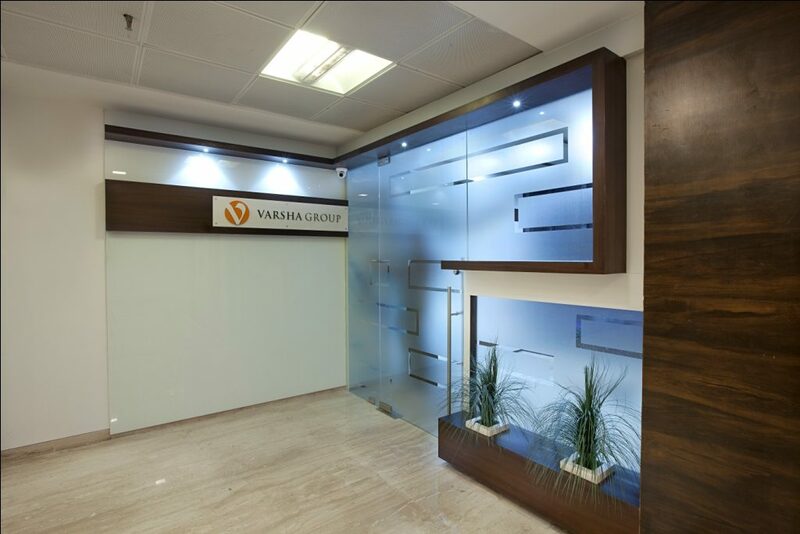 Our client Mr. Mohan Choudhary (Dir. 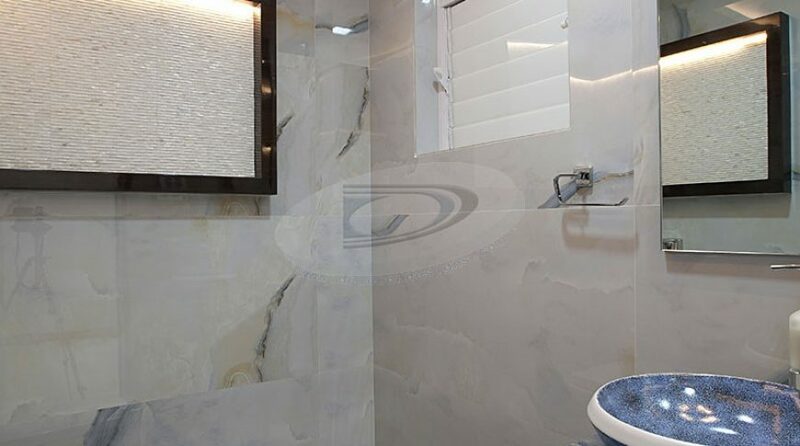 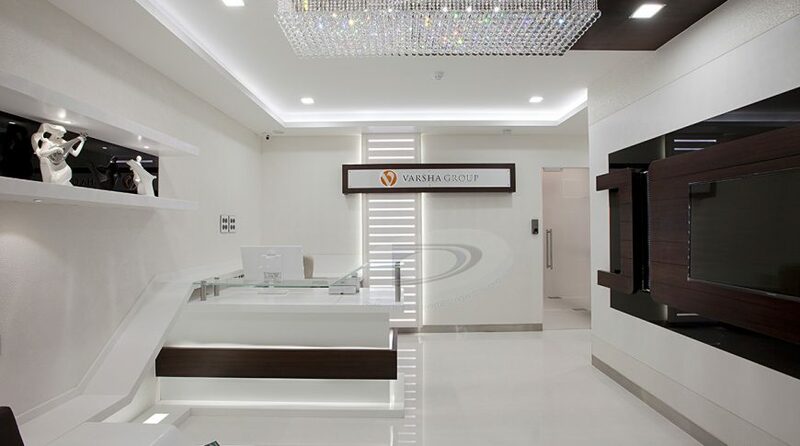 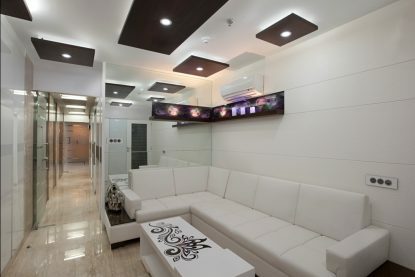 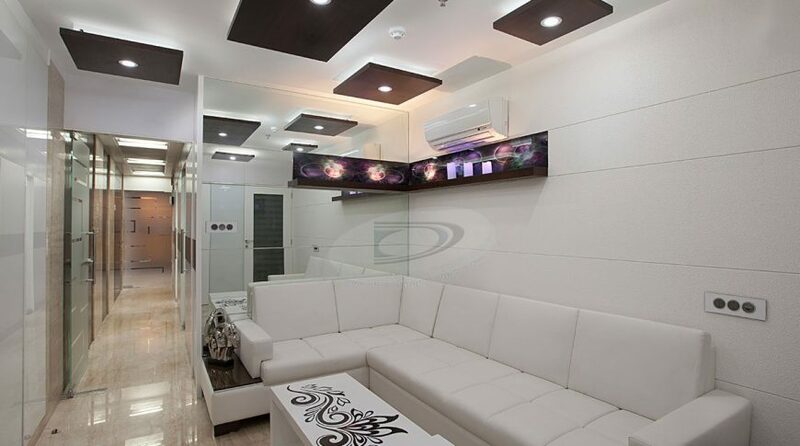 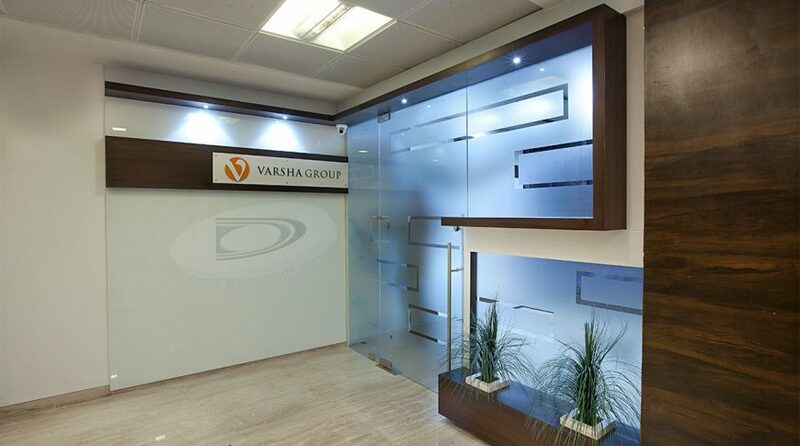 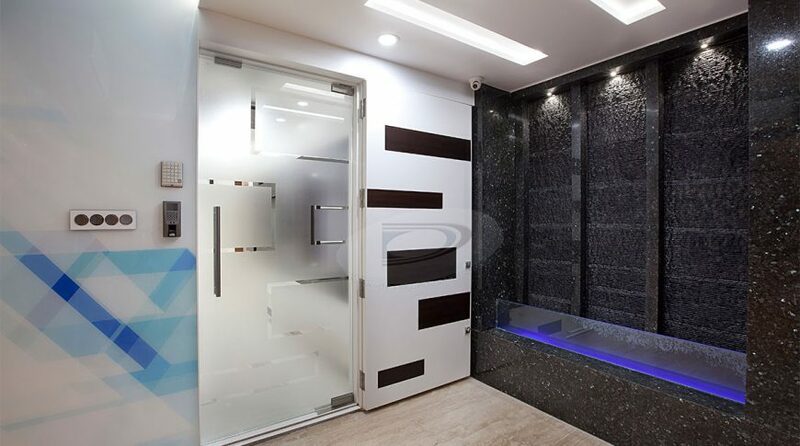 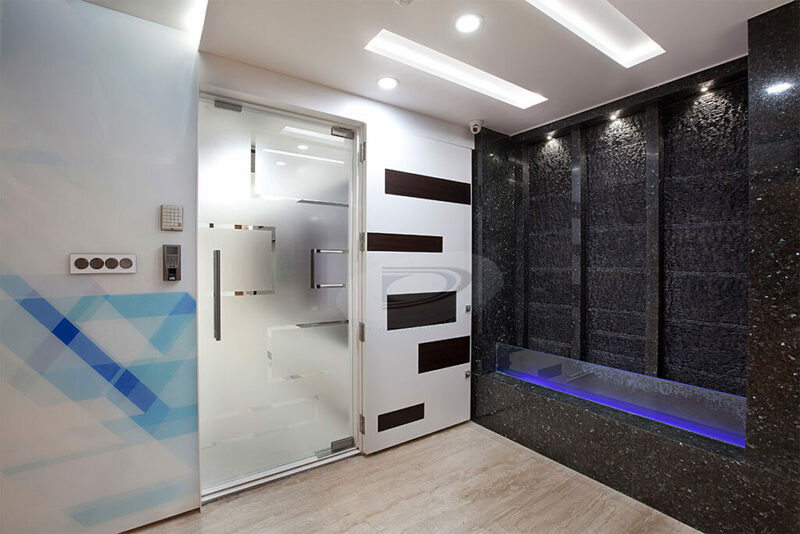 Varsha Group) is very much active & a famous developer amongst in all over Navi Mumbai. 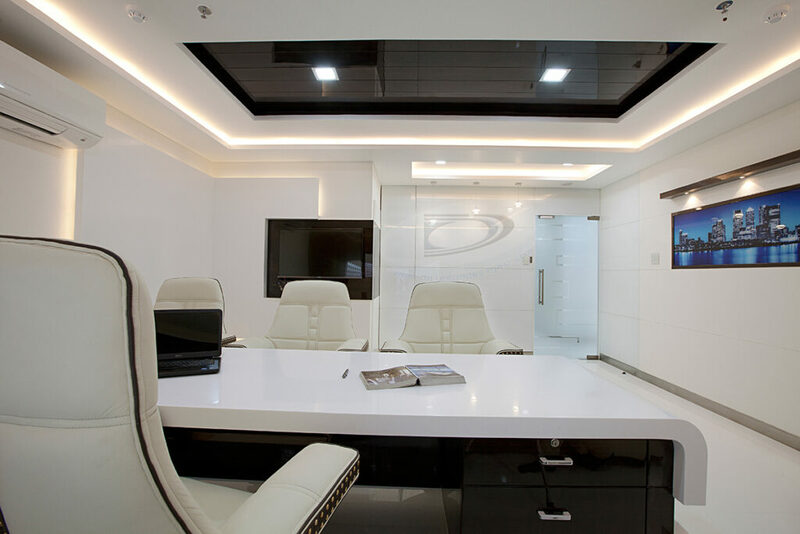 Since the day he appointed us his views were clear about his working space. 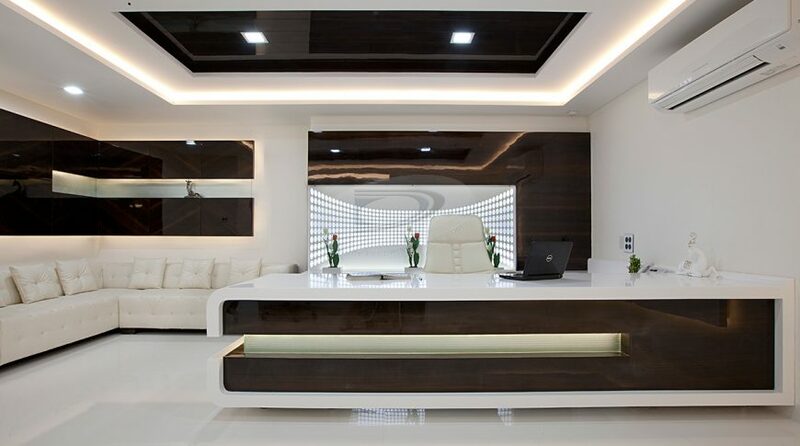 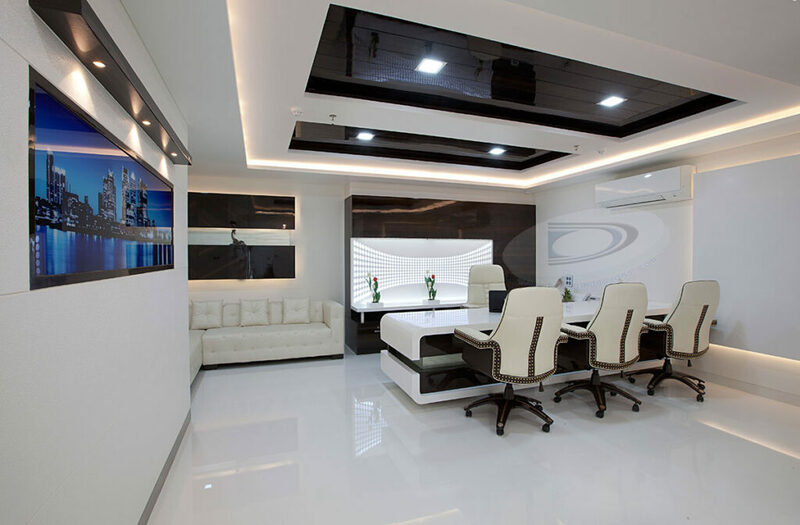 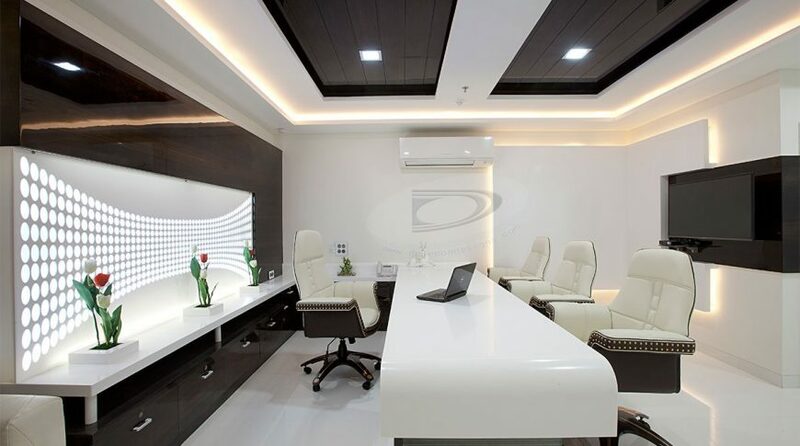 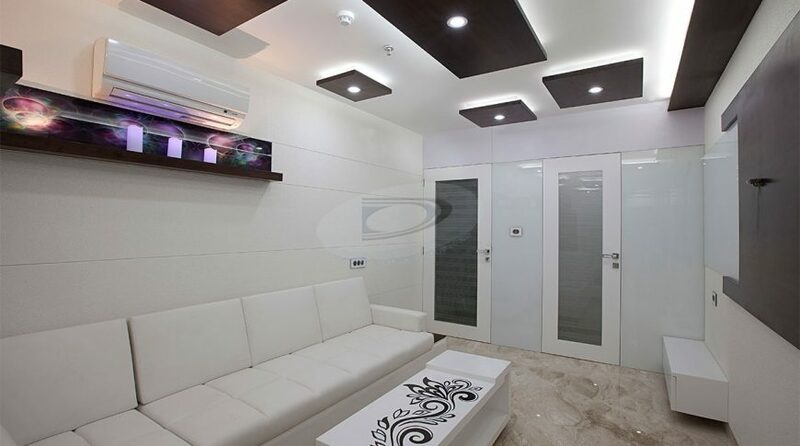 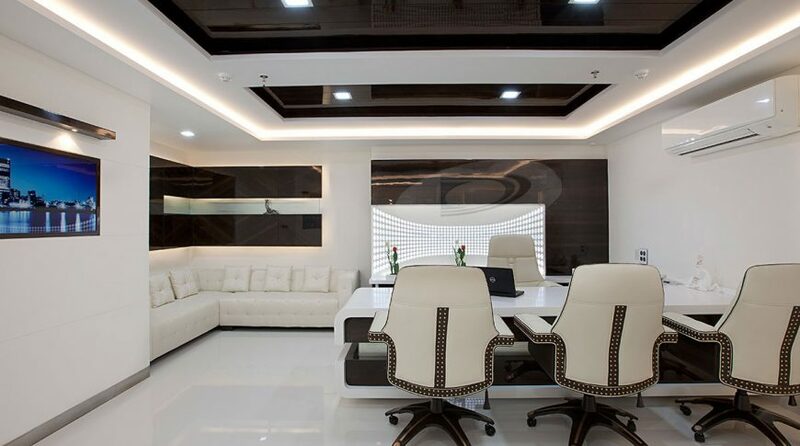 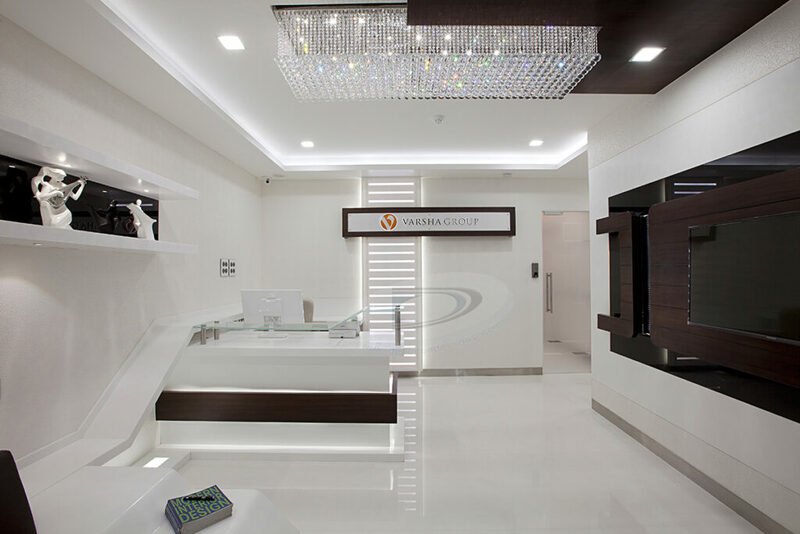 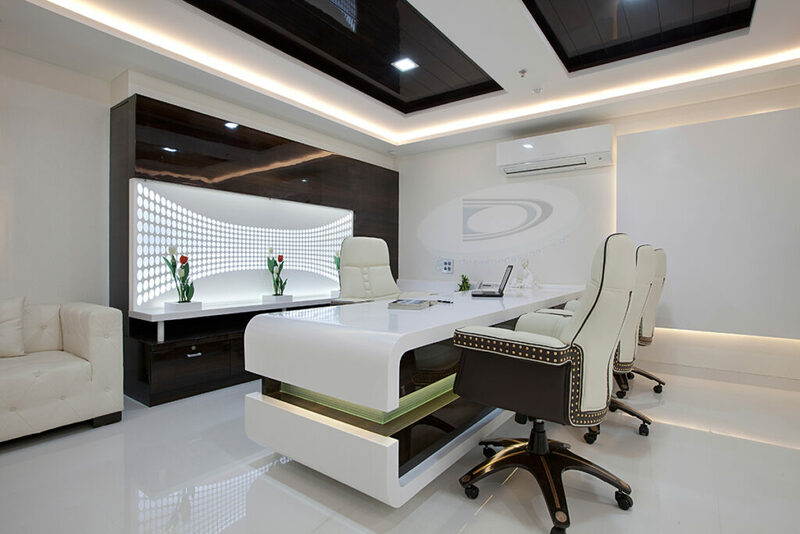 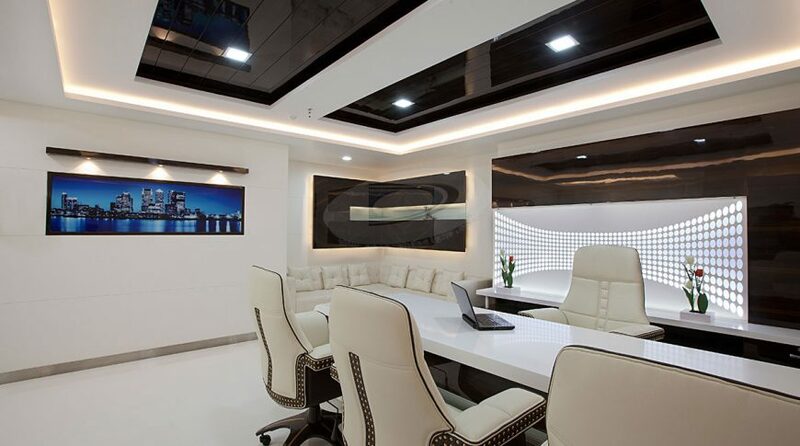 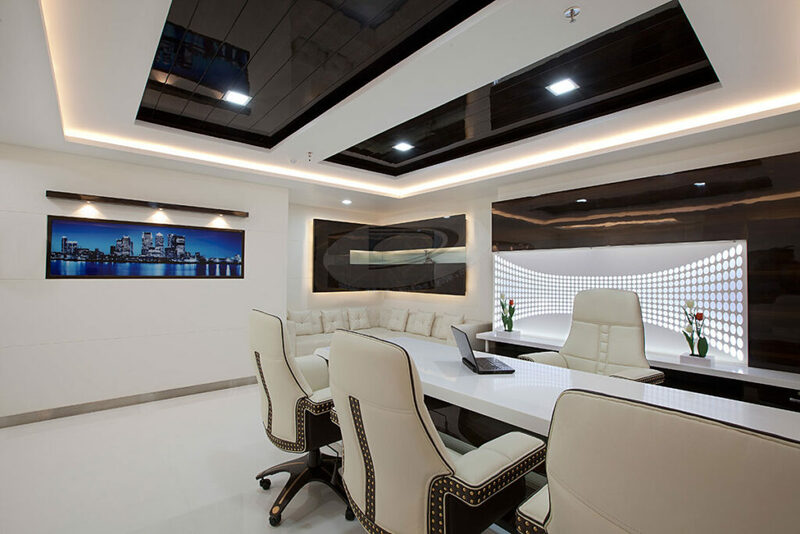 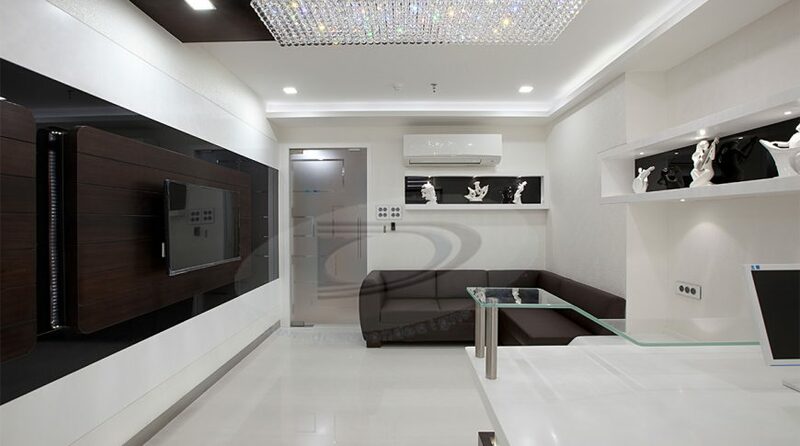 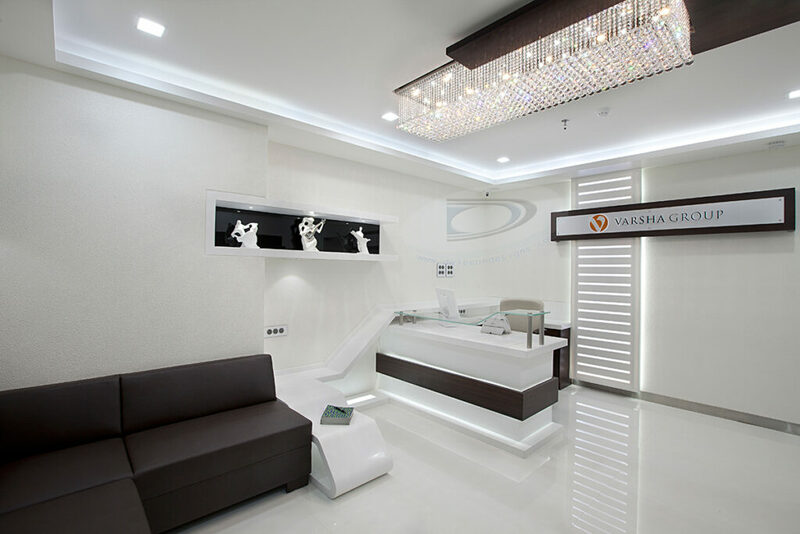 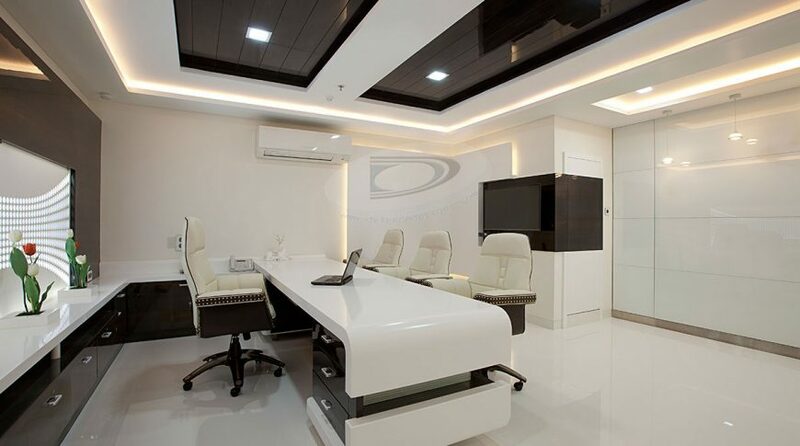 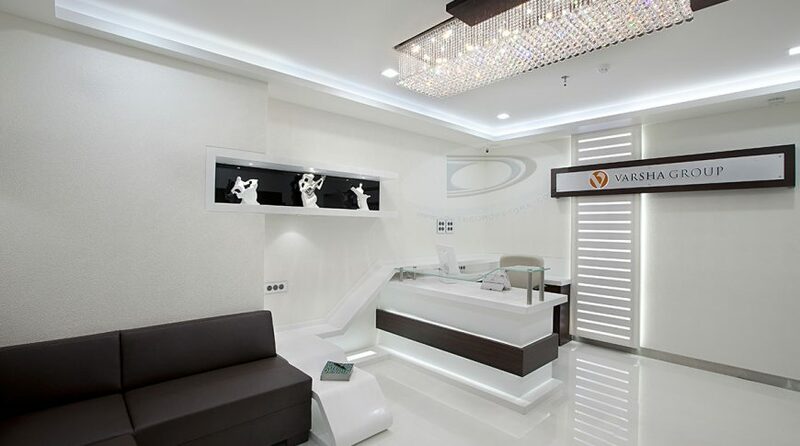 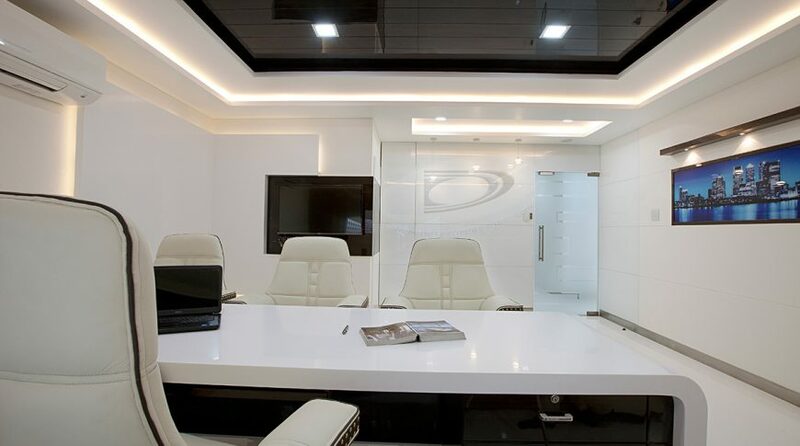 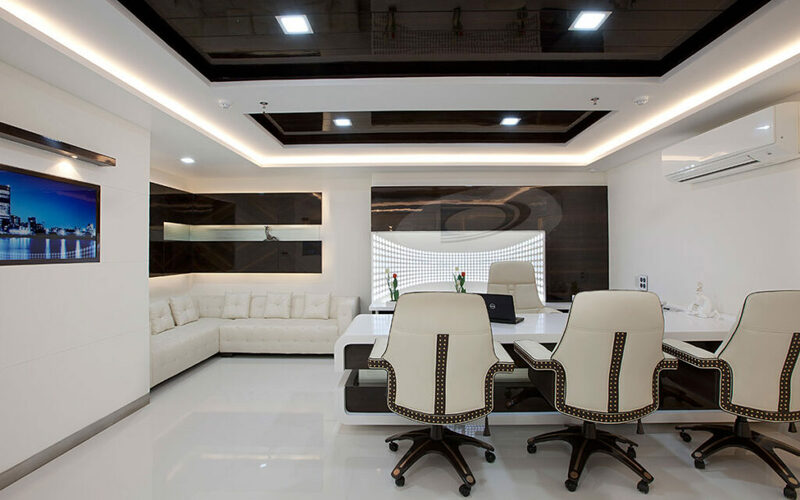 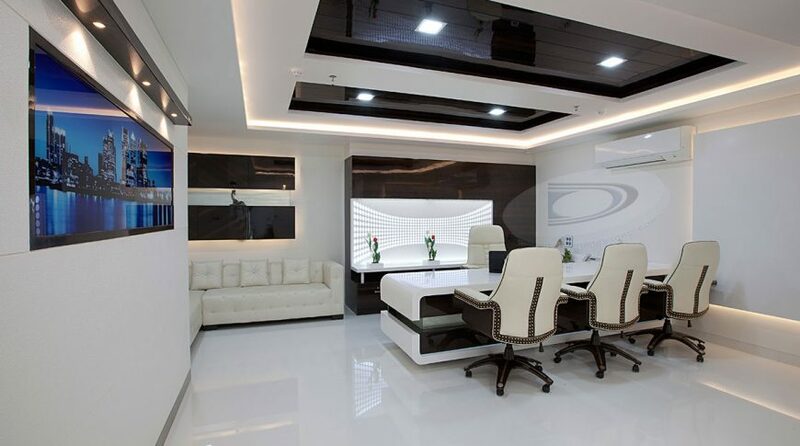 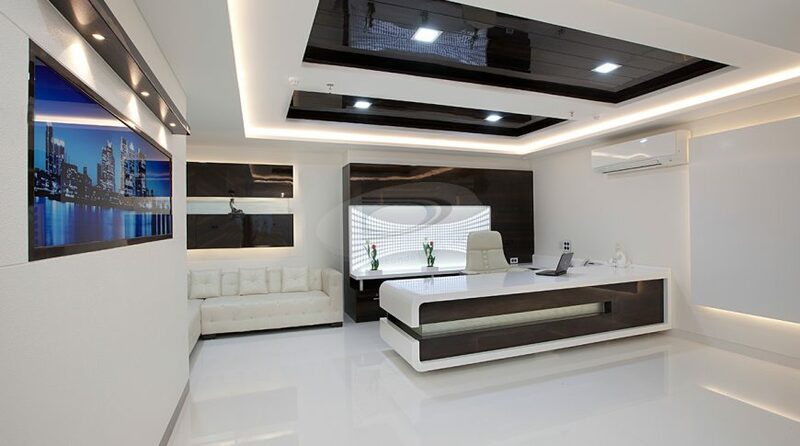 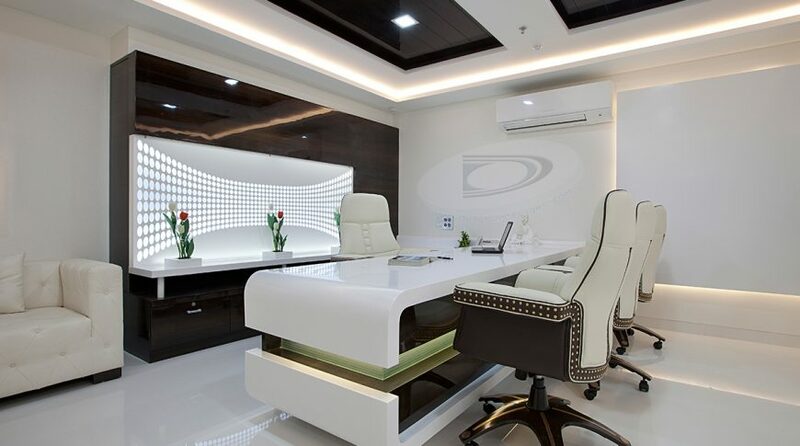 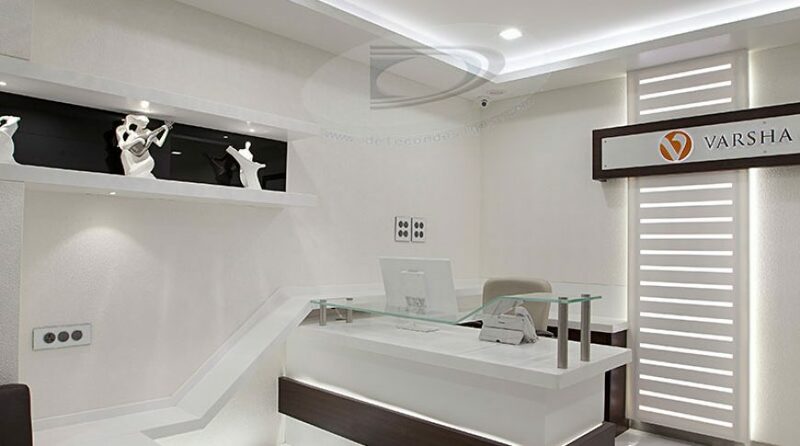 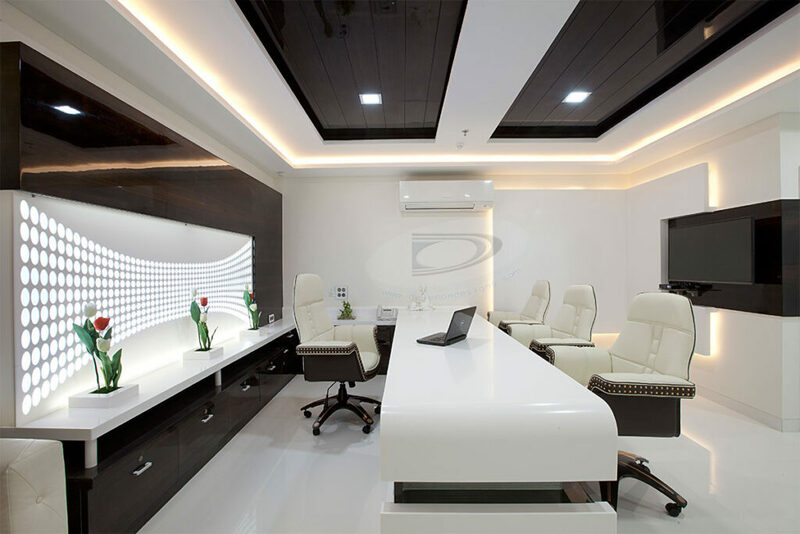 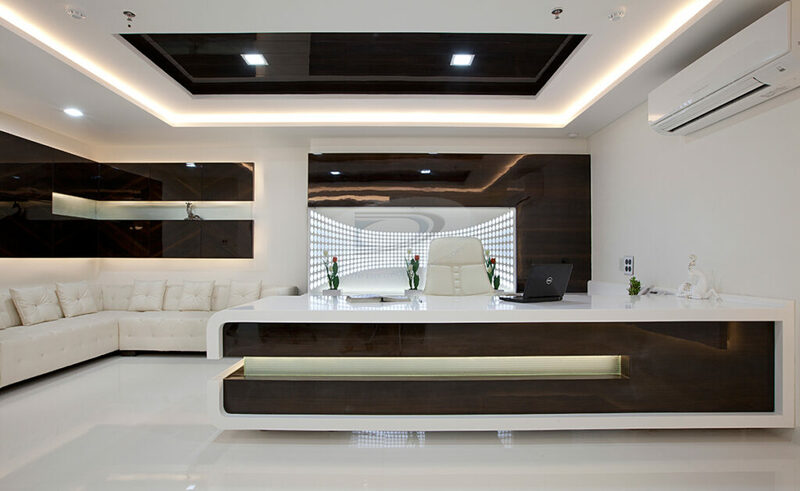 “The white elegant reach look office is now one of a business landmark in entire C.B.D. 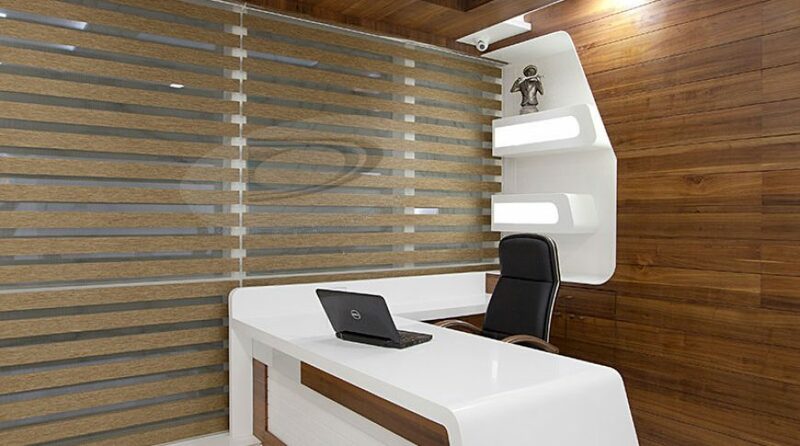 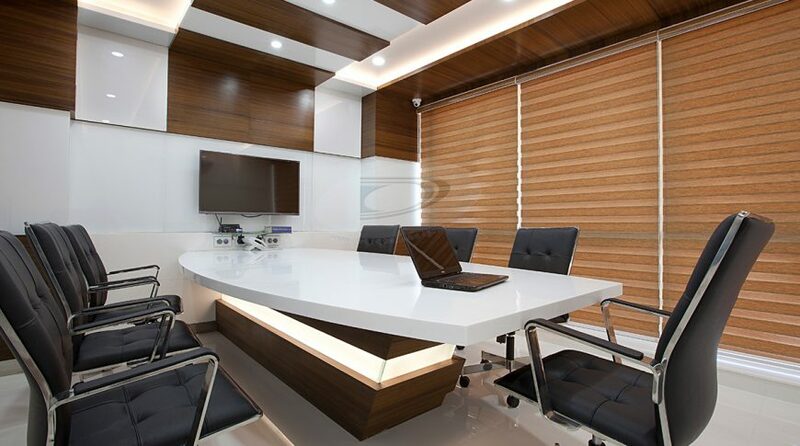 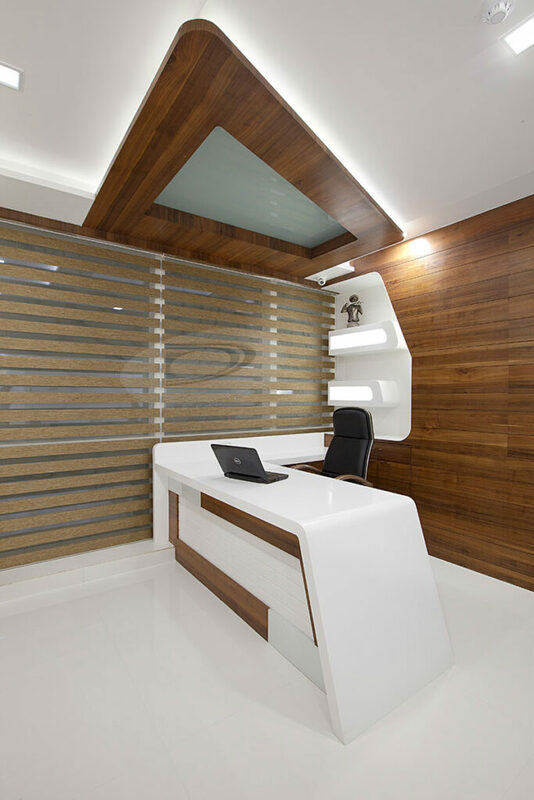 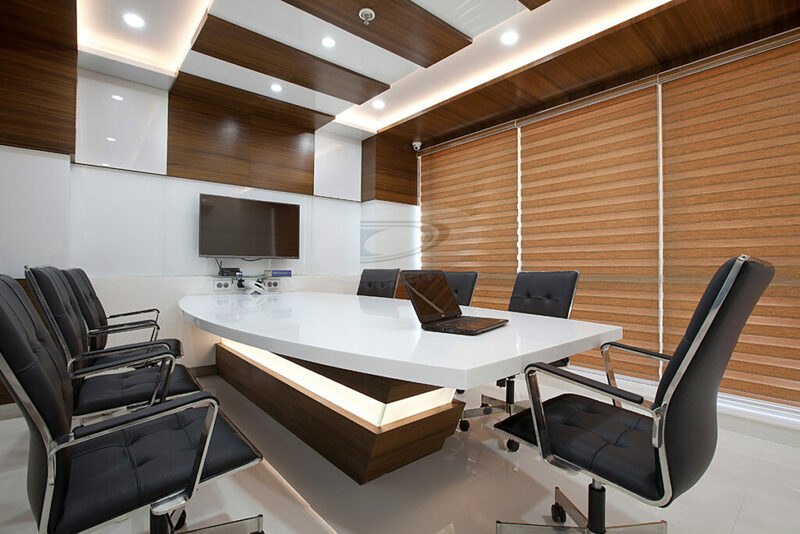 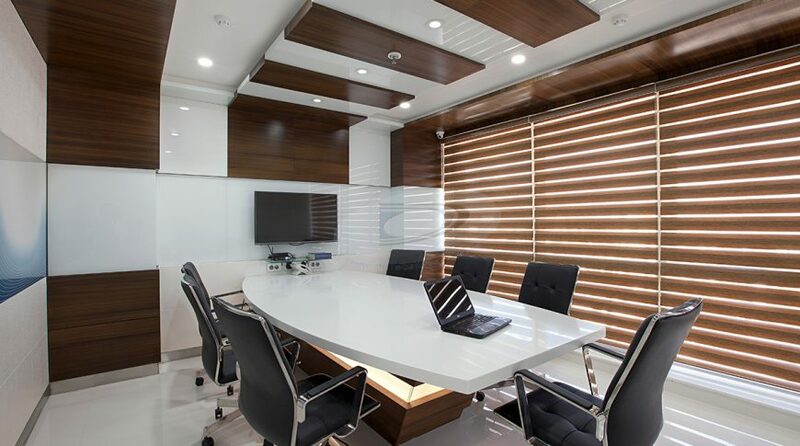 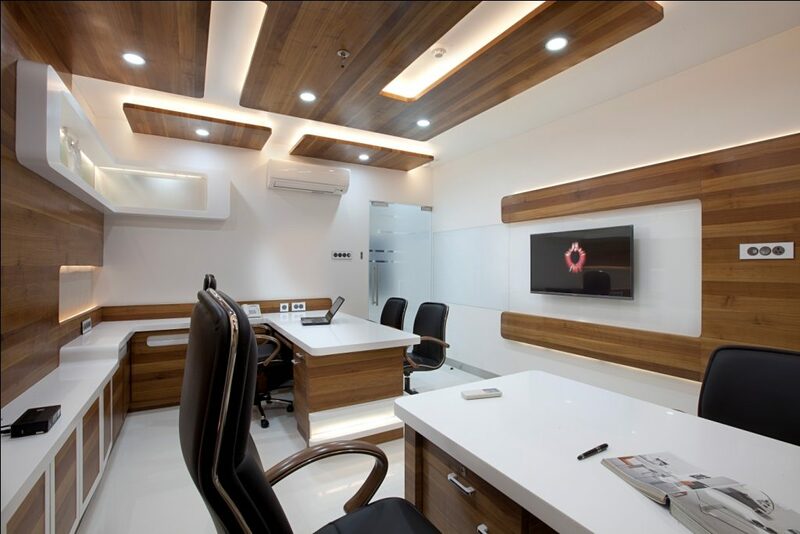 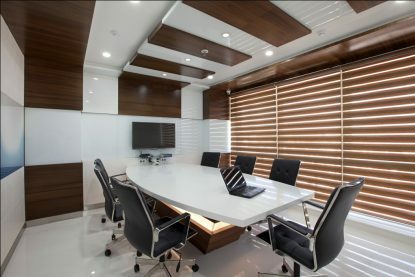 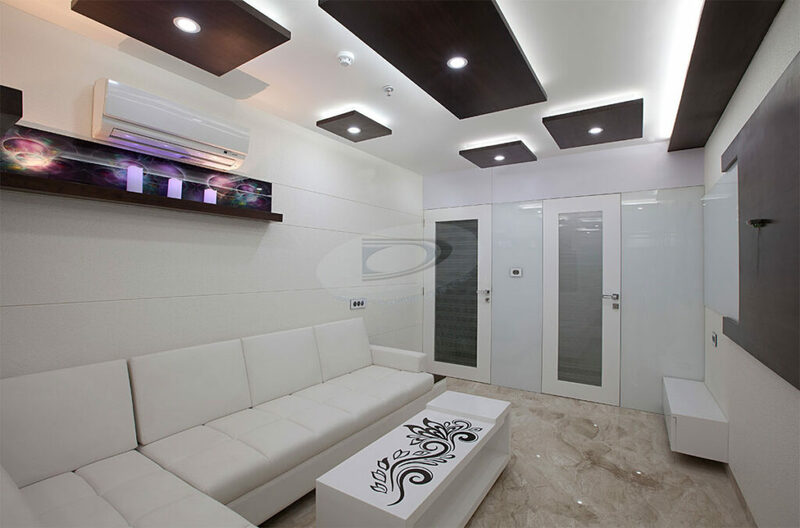 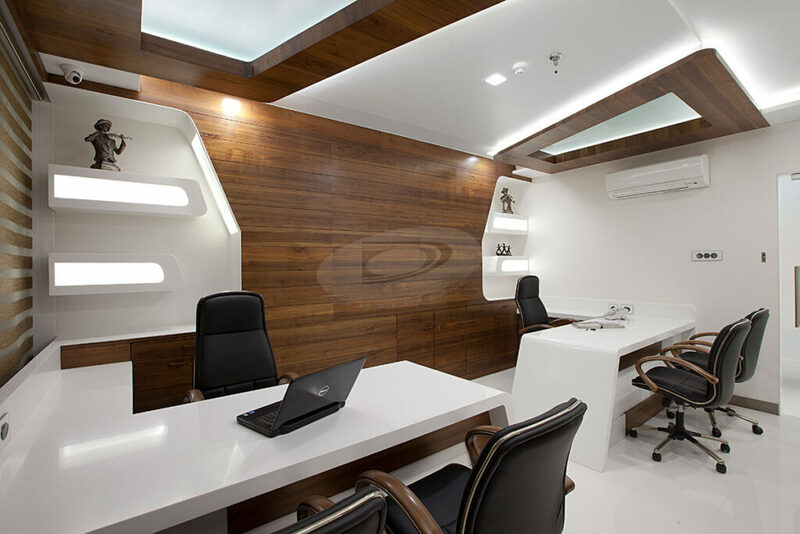 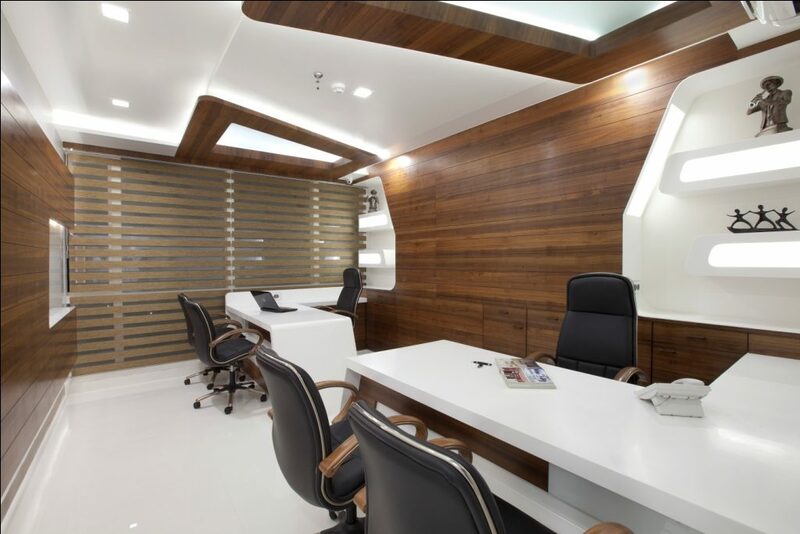 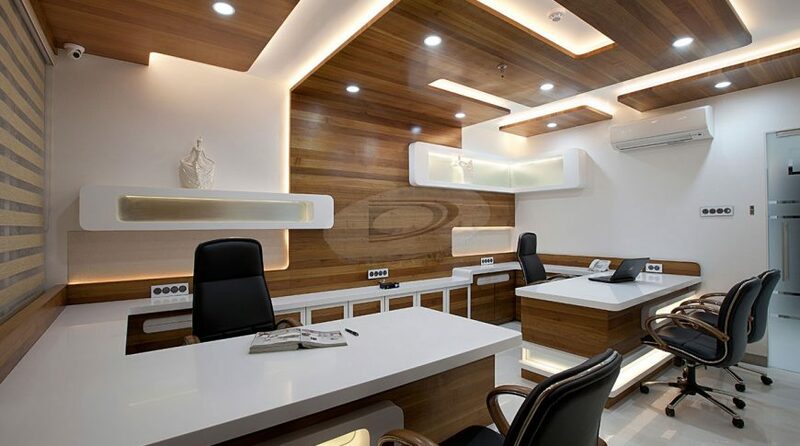 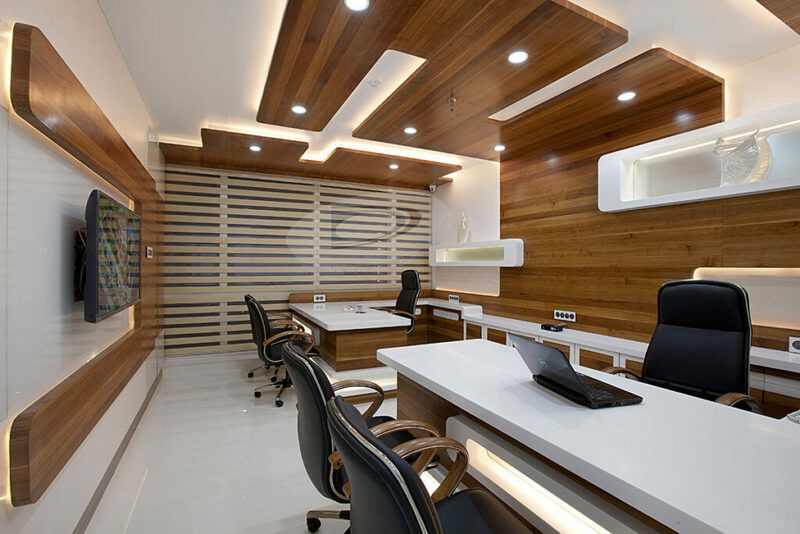 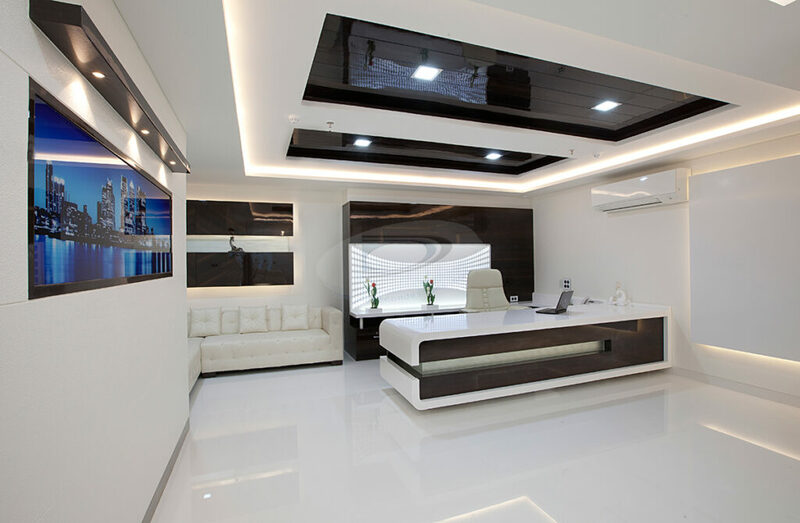 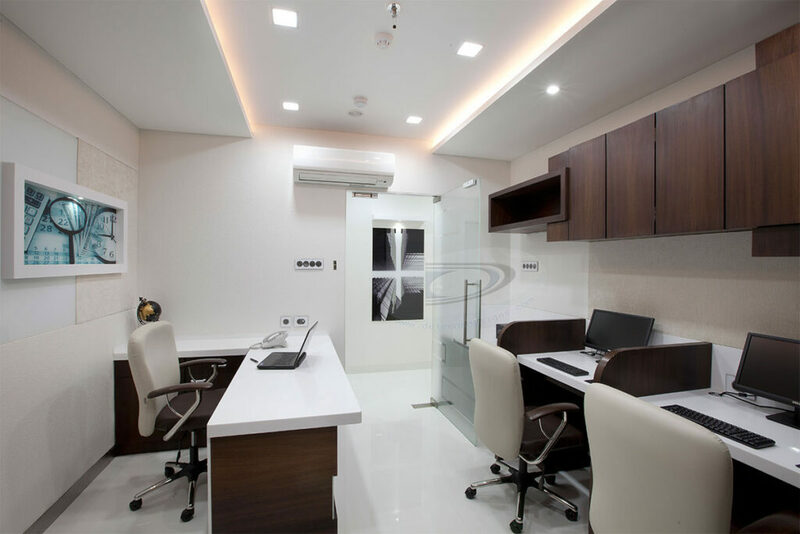 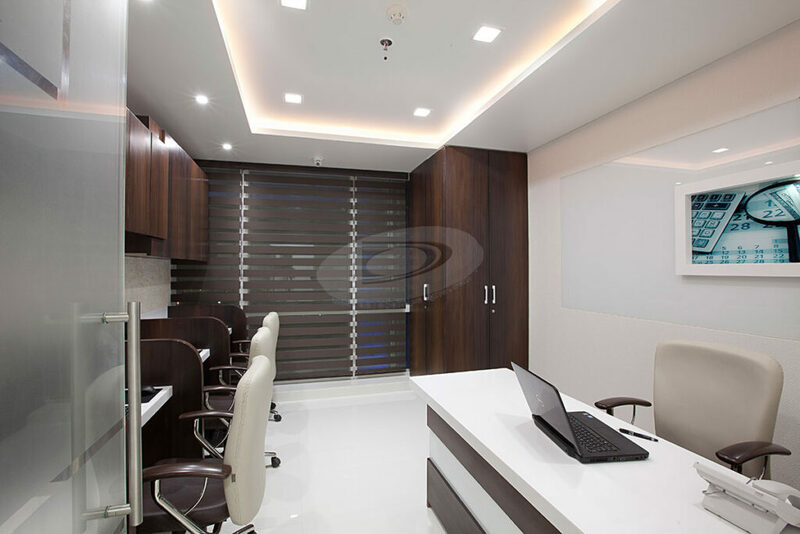 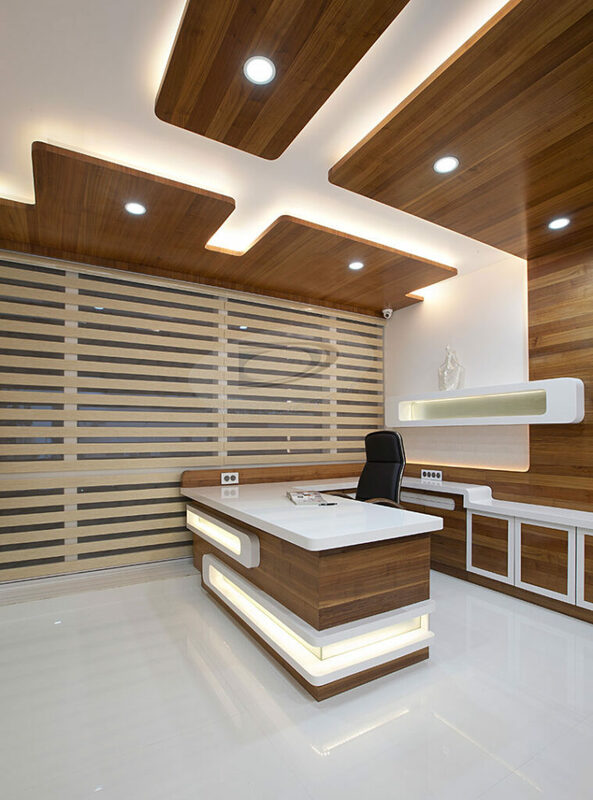 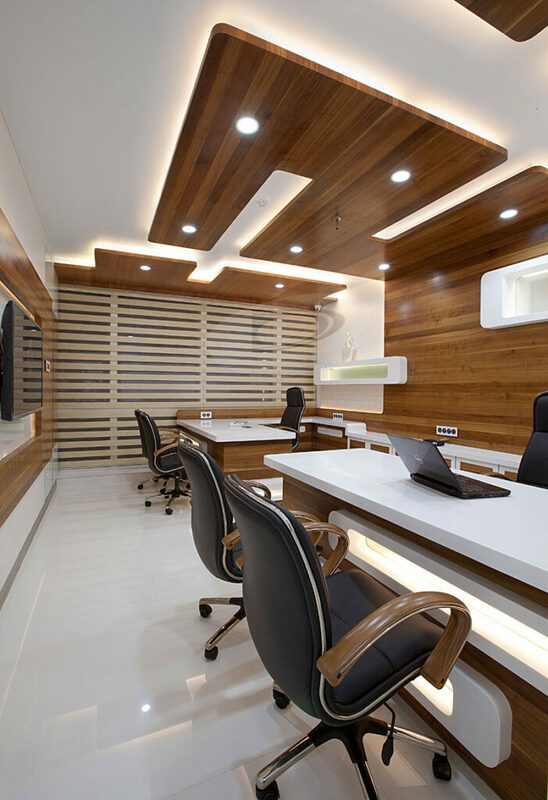 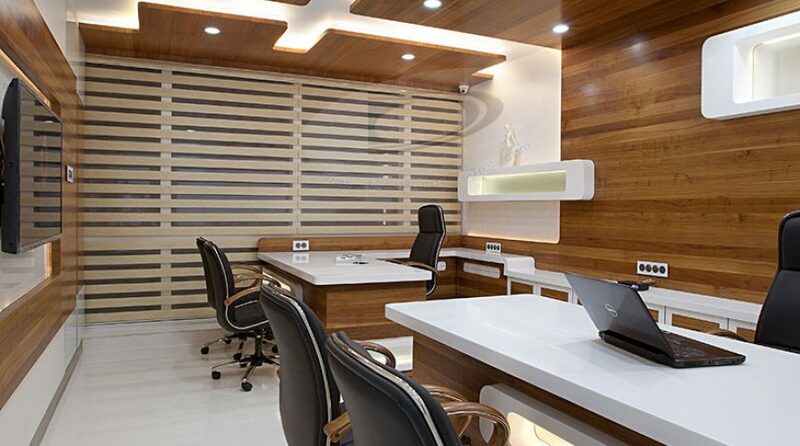 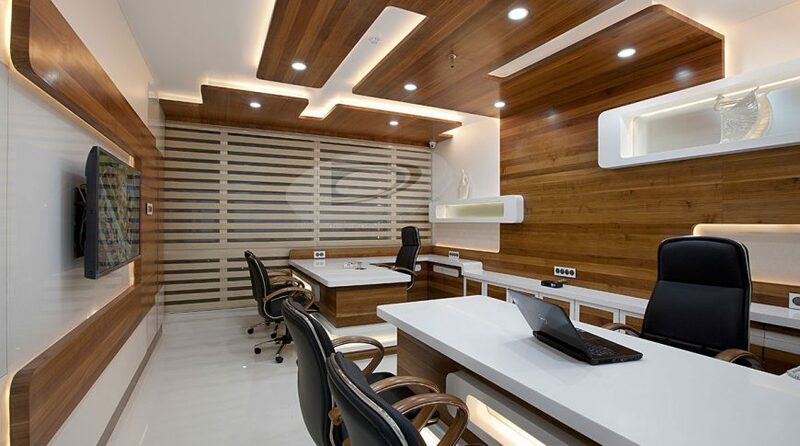 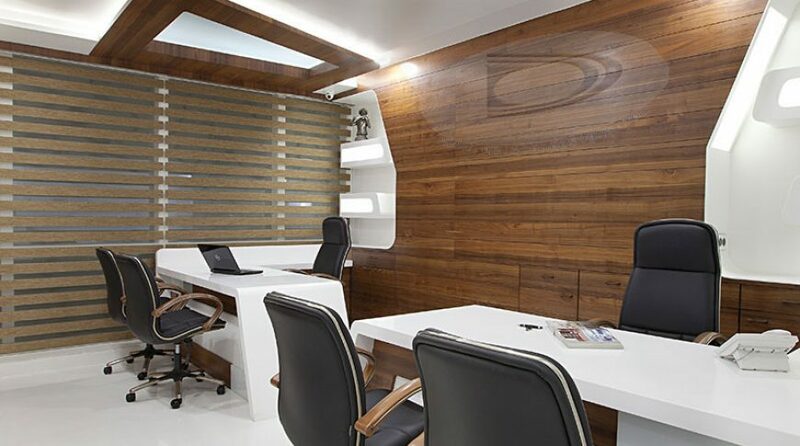 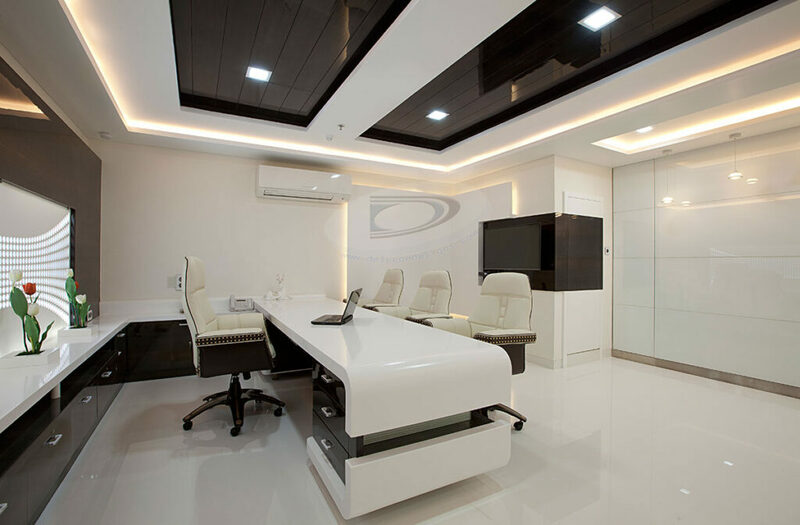 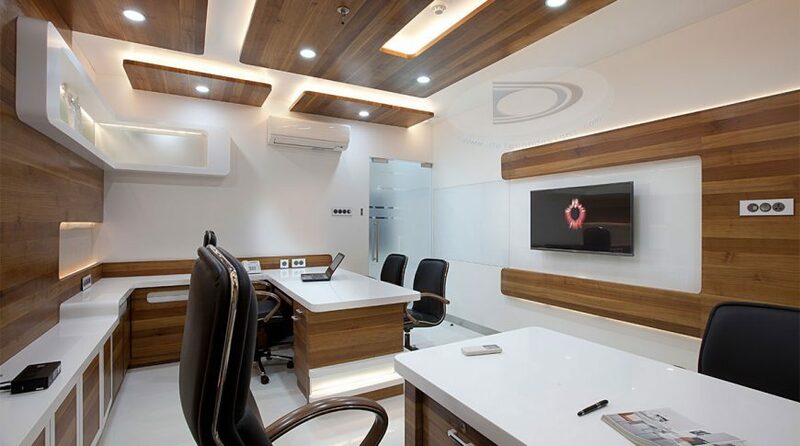 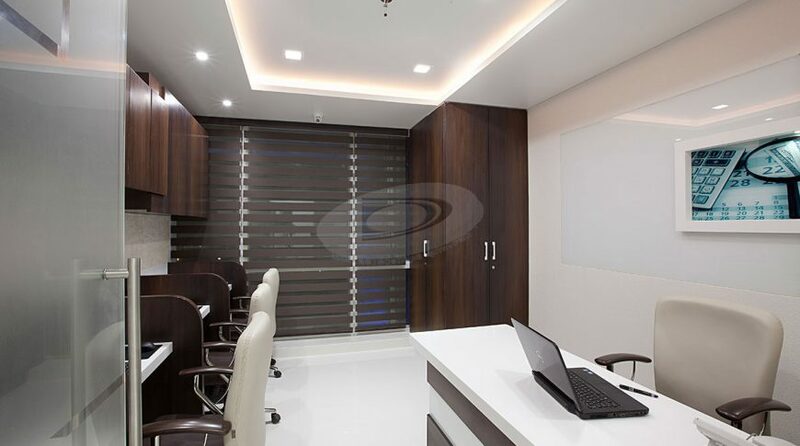 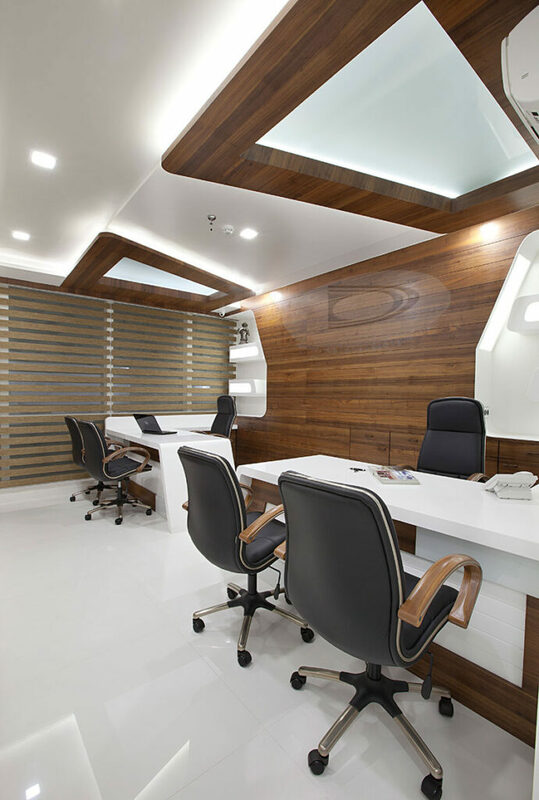 Belapur.” This office has expenses of 1.10 CR.Its Fine line interior well loaded in dark veneers + Korean as its final design ingredient. For this commercial design I can only say it a master crafting & professionals can learn a design definition with this portfolio.